Ewan McGregor stars in Catfish And The Bottlemen's music video for 'Hourglass'. Ewan McGregor features in Catfish And The Bottlemen’s short-film of a music video for 'Hourglass', which portrays a curious hotel encounter between Catfish frontman Van McCann and the Scottish actor. "Proper excited to say that, with great honour, we’d like to present you a short film for our new single “HOURGLASS” starring an all time hero of ours SIR EWAN MCGREGOR! Directed by the main man Jim Canty. This is one of the best things we’ve been a part of and Honestly working with Sir Ewan was one of the funnest things I think i'll ever get to do. He's the most interesting and interested guy i've ever met. He's just brilliant. Total gentleman! When people tell you not to meet the people you look up to, ARE YA MADDDD!!!!! He genuinely buzzes off the band. Sends me photos of him listening to us before he walks onstage on his endless run of sold out broadway. AND HE LIKES MY LYRICS! Honestly, I love him. It all makes me laugh my head off! His daughter Clara is a class A photographer as well! The artwork for the single is a photo of me and Ewan that she took! Videos for us are hard as we've got Austen Powers heads but this was just absolutely class craic!" I love McCann’s love for McGregor. It’s adorable! FilmWatch: 'Beauty And The Beast' teaser trailer. MusicCatfish And The Bottlemen - '2all' music video. MusicCatfish And The Bottlemen announce SITG 2017 sideshows for Sydney & Melbourne. 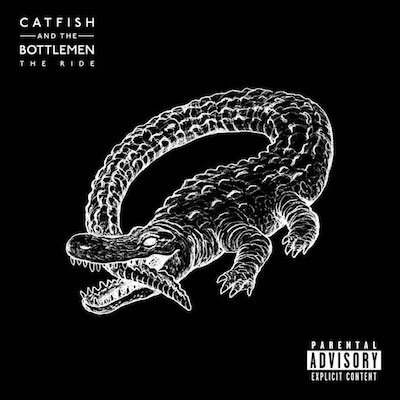 MusicReview: Catfish And The Bottlemen’s album, ‘The Ride’. MusicWatch: behind-the-scenes of Catfish And The Bottlemen’s Vevo Presents show. MusicWatch: Catfish And The Bottlemen perform 'Soundcheck' live on The Late Show. MusicCatfish And The Bottlemen announce new album 'The Ride' + release 'Soundcheck' music video. MusicCatfish And The Bottlemen return with new song 'Longshot'. MusicWatch: Catfish And The Bottlemen perform ‘7’ live. MusicWatch: Catfish And The Bottlemen's Lollapalooza Brasil 2017 set.